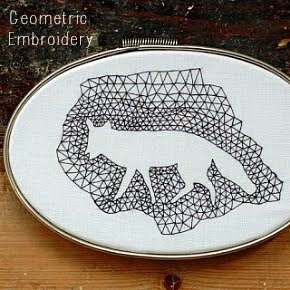 I've decided to blatantly rip off my lovely friend Jo and record what I read every month right here on my blog. This is in part because books are so important in my life, and also because for my last birthday I received a Kindle from my lovely Muthas. I was a bit unsure at first. Could I really enjoy a book if I couldn't hold on to it - admire the cover, rest a coffee cup on it, fold page corners and break spines? I adore the books I have but I don't treat them particularly well (unless they're from the Library!). In years to come, when I pick up a well read favourite, it won't just be the story that speaks to me, but the creases and stains, the little notes from the kids used as bookmarks or the occasional receipt for mundane essentials, that stir the memories. A book is a very special thing. Five months on from receiving my Kindle and after a very slow start, I'm hooked. Yes, the ease and convenience of buying cheap books while I lie in bed, and being able to read them immediately, has won me over. The flat, dull screen can't compare to a book's pages, but it doesn't have the glare that comes with phones or tablets and it is very kind to my eyes. Yeah, page turning with a clicky button isn't great, and I have a few other niggles, but this isn't a Kindle review. What I am hoping to do though, through recording the books I read on a monthly basis, is hold on to a few of the memories. This is a place to record my favourites, make recommendations and highlight the little details that have made each book memorable. So here goes with January's reading list. 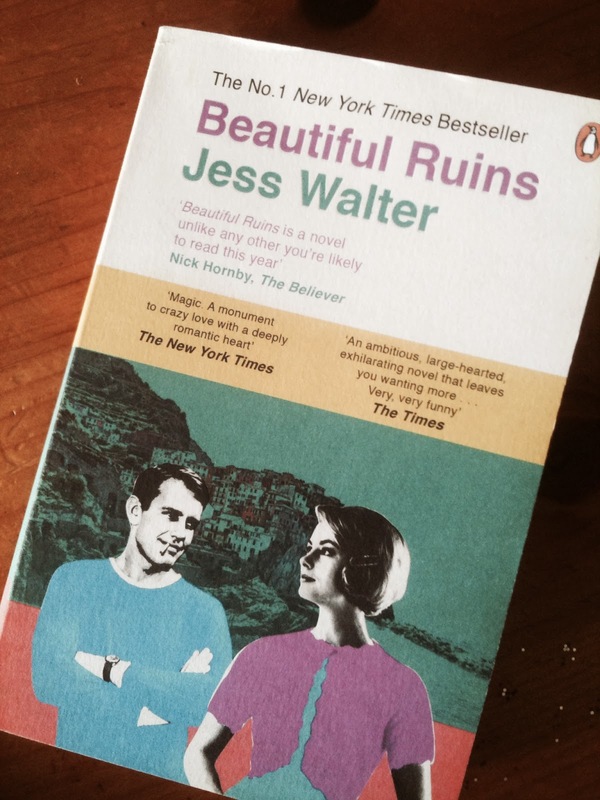 Don't Eat Cat - Jess Walter - a Kindle Single by the author of the above pictured book 'Beautiful Ruins', which was one of my favourite reads of last year. This is completely different to that book. It's a dark, funny, dystopian zombie short that kick-started my New Year (and established a theme for the month). Planning to read more of Mr Walter's work. The Hunger Games - Suzanne Collins - Started late New Year's day and finished by the next morning. I became so obsessed with the series that I hardly slept....great holiday reading. Mockingjay (The Hunger Games Trilogy) - Suzanne Collins - I felt bereft when I'd finished. Such a great story. 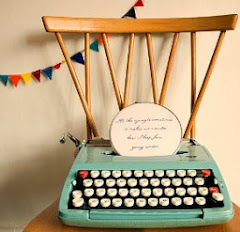 Simple prose, with many twists and turns. So pleased that someone is writing strong female characters that young people can identify with. And I have to admire a writer that can get me to enjoy a story about children killing each other! Positron : Episodes 1-3 - Margaret Atwood - Oh yeah, straight back to dystopia! Nice short reads, amusing and horrific as you'd expect. Already read episode 4, but that's for next month! 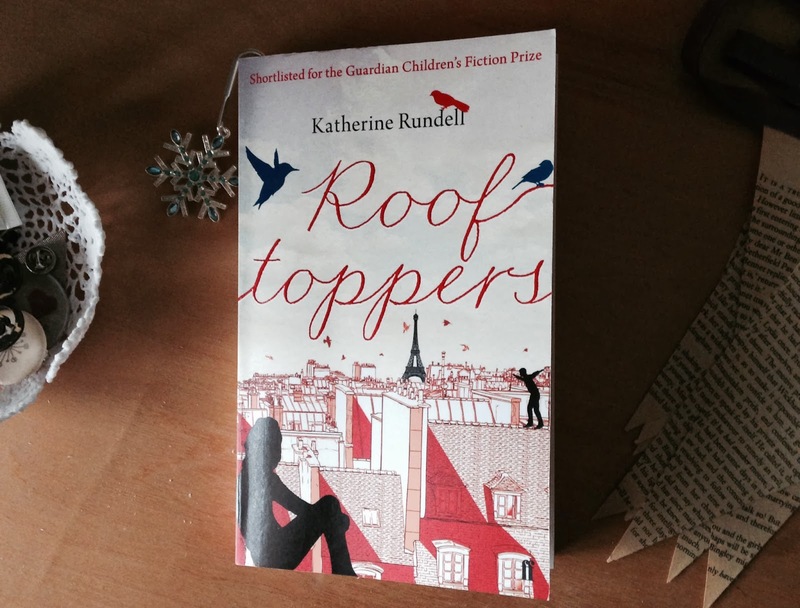 Rooftoppers - Katherine Rundle - Started reading this to the kids at the end of January and haven't finished yet but I couldn't not mention it. So brilliantly, beautifully written. The language is so striking. It has started many conversations about words or situations, history or convention. There's something of the Pippi Longstocking about it. My kids love an orphan's story! I was sent Rooftoppers as a gift.It recounts the story of Sophie,a little girl who is found after a ship sinks in a cello case by a kind man called Charles,who takes her in.Sophie is an astonishing little character,exceptionally flexible and feisty,yet she aches to discover her mum,who she accepts was the cellist on the ship.This was a pleasant read, suitable for bookish youngsters.Have a great day. @Sylvia Powell.